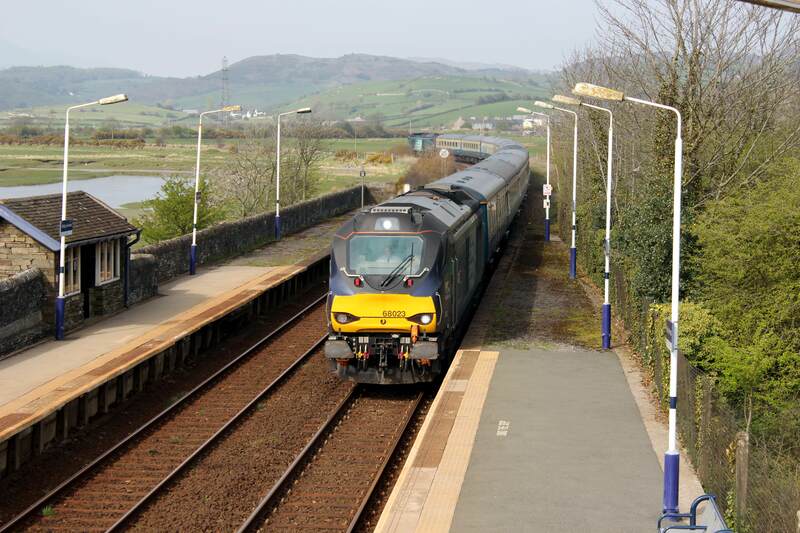 On the Cumbrian Coast line in North West England recent developments have seen Direct Rail Services Class 68 becoming more and more prominent. 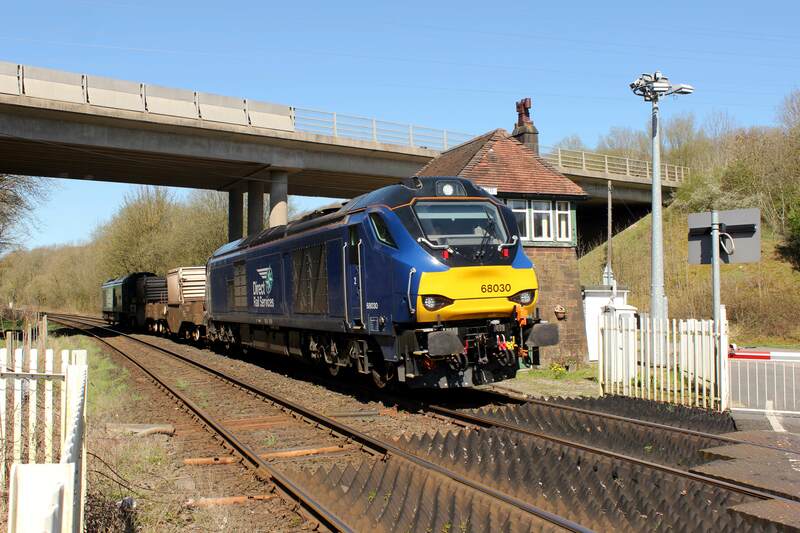 Reliability issues of the Class 37/4s tasked with hauling some of Northern Rail's passenger services has seen one set converted to 'Top and tailed' Class 68s retaining the DBSO driving car behind the south loco to provide train crew facilities. This set has worked pretty much faultlessly since deployment albeit with a loss of seating capacity. 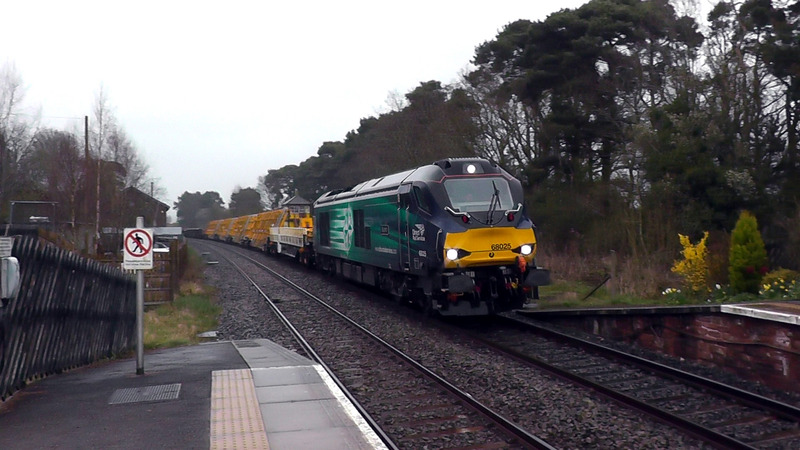 As I said the 20 JNA long stone trains have been running for a few weeks with a pause now until some serious tonnage starts to run later on. 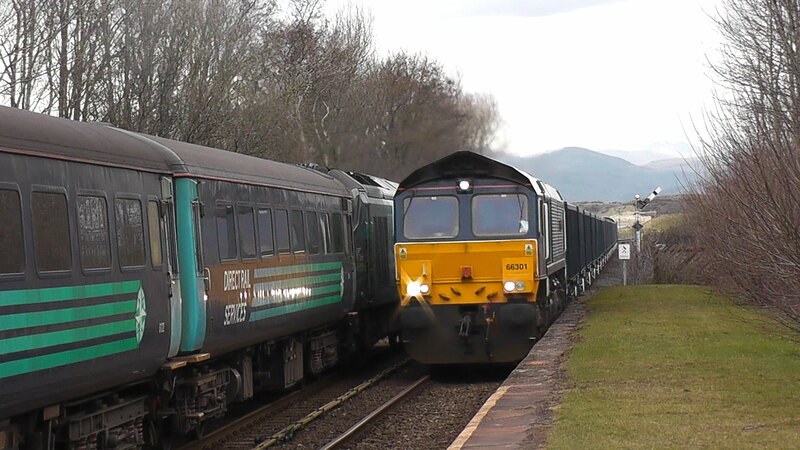 These also run top and tailed empty to Barrow and laden return. 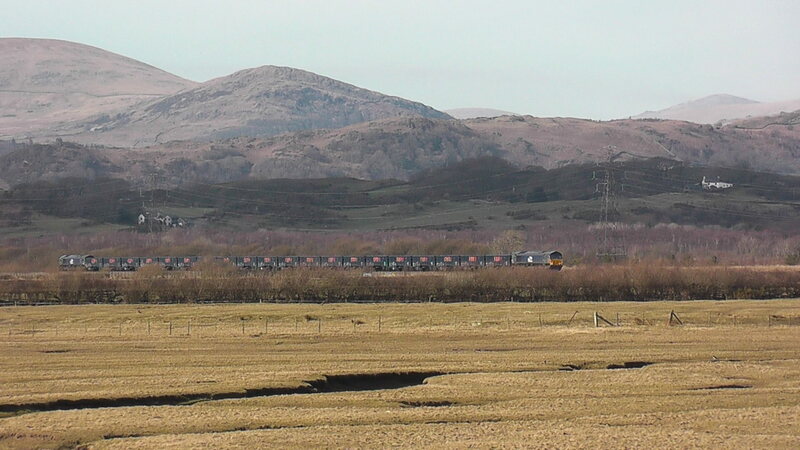 The top and tailing making accessing the Ramsden Dock branch and a train reverse at Sellafield a lot easier. 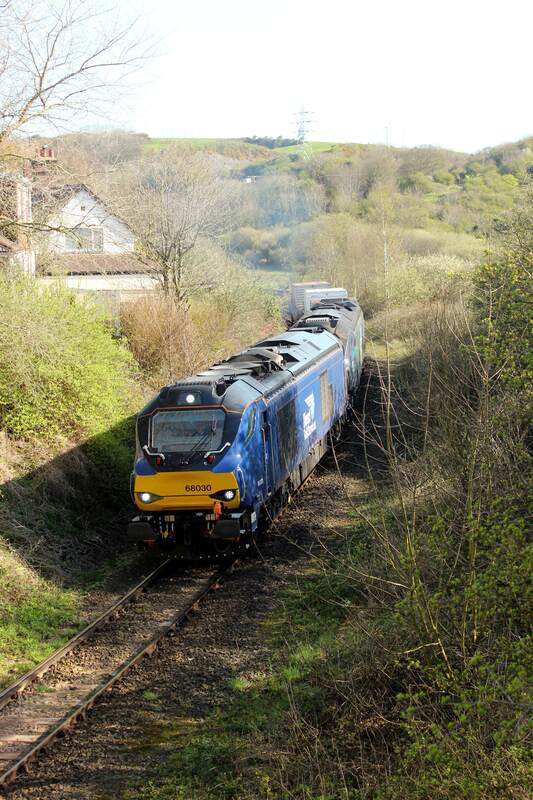 The JNAs were hired in which meant that we had the incongrous site of DRS locos hauling brand new GBRF wagons! 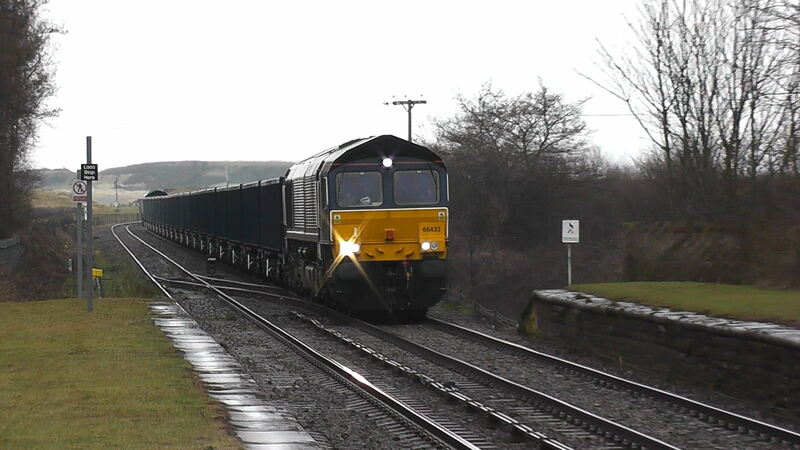 Next up will be the challenge of deploying the class 68s on the upgraded 'Trans Pennine Express' services when their haulage power and reliability will be tested on the Northern English hill routes. needless to say I'll be out with the cameras! 68s are a bit too far north for me - so far I have only seen one at close quarters (68022 at Horsham, having delivered a track machine from Carlisle); although I really ought to wander over to Marylebone to see the Chiltern examples. 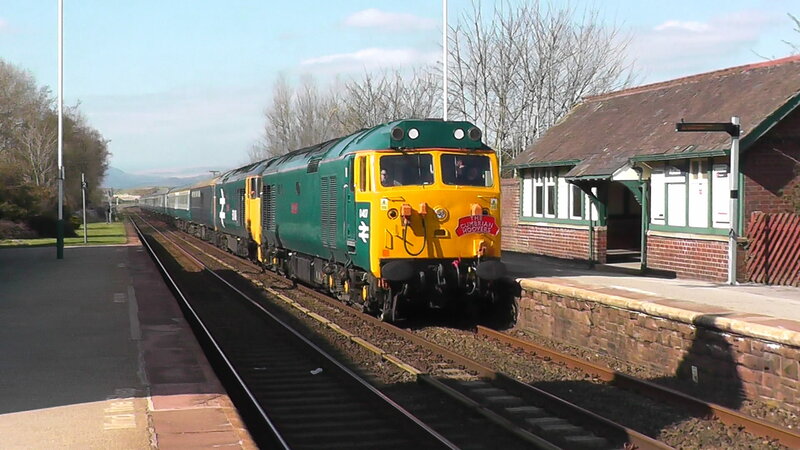 I do occasionally visit the in-laws up in Lancashire, so may catch the TPE sets when they are introduced ( I spend a most enjoyable couple of hours at Todmorden last weekend). The 50s however, I have very clear memories of these beasts operating the Waterloo - Exeter services (although I recall 50007 in its 'Sir Edward Elgar' phase).